In practice this beast is almost impossible to tame: taming exotics requires level 65, and this creature can longer be accessed once your Pandaren leaves the starting zone, so you'd have to level to 65 on the Wandering Isle! Formerly it was much easier to tame, as exotics could be tamed at level 10. Activated during the quests The Pools of Youth (Alliance) and The Pools of Youth (Horde). Activated during For Family (Horde) and The Lord Reclaimer (Alliance). Only accessible once, during quest The Might of Three after reaching exalted with Golden Lotus. Originally restricted to a specific quest phase, these quilen were made generally accessible in 5.4. Disappears after initial VEB quest chain. Found in the second area of the Scenario. 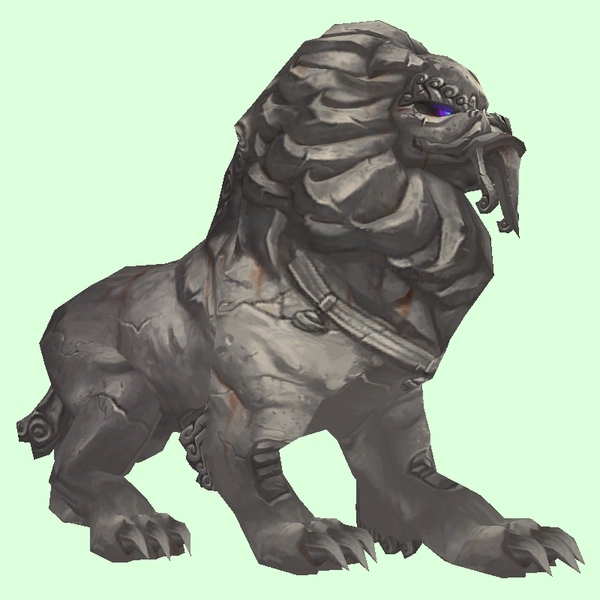 While this stone quilen changes colour during combat, he always reverts to his original grey upon taming. Trash mob before The Stone Guard bosses. Comes alive during the quest One Traveler's Misfortune. Normally statues, but may become activated during the daily quests Stone Cold / Stone Cold. Activated during Horde quest Voice of the Gods. Spawned during Mercurial Guardian fight. Summoned by several rare spawns, including Urgolax and Krol the Blade.